Sunroof, Navigation, Heated Leather Seats, 3rd Row Seat, Back-Up Camera, Rear Air, Power Liftgate, Heated Rear Seat, Alloy Wheels, TRANSMISSION: 8-SPEED AUTOMATIC 8HP70... PREMIUM NAPPA LEATHER GROUP, RADIO: UCONNECT 8.4 NAV AND MORE! 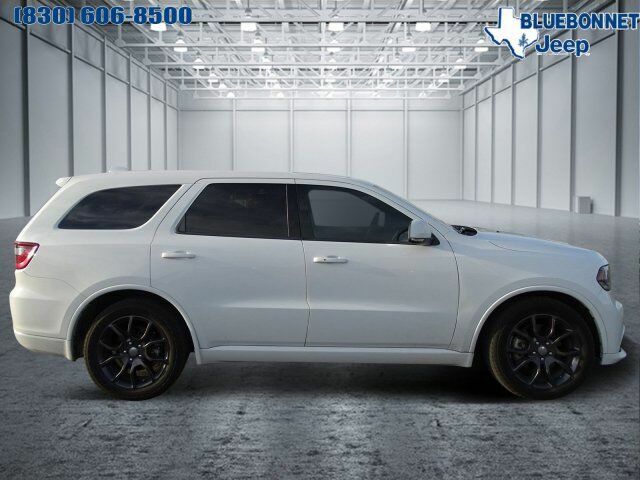 Leather Seats, Third Row Seat, Power Liftgate, Rear Air, Heated Rear Seat, Back-Up Camera, Aluminum Wheels, Remote Engine Start, Dual Zone A/C, Heated Leather Seats Rear Spoiler, Remote Trunk Release, Keyless Entry, Privacy Glass, Steering Wheel Controls. PREMIUM NAPPA LEATHER GROUP Ventilated Front Seats, Auto High Beam Headlamp Control, Power Tilt & Telescopic Steering Column, Cargo Compartment Cover, Floor Console w/Leather Armrest, Rain Sensitive Windshield Wipers, Perforated Leather Wrapped Steering Wheel, Red Accent Stitching Group, Power 8-Way Driver Memory 8-Way Passenger Seats, Cargo Net, Leather Wrapped Door Panels, POWER SUNROOF, RADIO: UCONNECT 8.4 NAV SIRIUSXM Travel Link, (Registration Required), HD Radio, For More Info Call 888-539-7474, GPS Navigation, SIRIUSXM Traffic, ENGINE: 5.7L V8 HEMI MDS VVT Dual Rear Exhaust w/Bright Tips, Heavy Duty Engine Cooling (STD), TRANSMISSION: 8-SPEED AUTOMATIC 8HP70 (STD). Edmunds.com explains "Modern and functional, the 2015 Dodge Durango's cabin is a standout in this class. Regardless of trim level, the design is attractive and features upscale materials that convey uncommon elegance. ".